Save Time, Money, and Food. 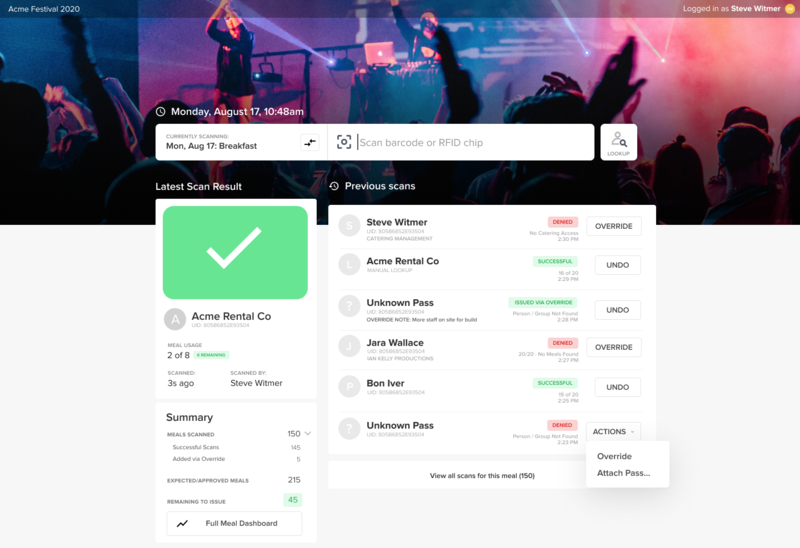 Lennd allows event managers to take control of the costly problems that occur when feeding event crew, artists, and staff. With robust reporting, it's easy to stay on top of catering forecasting & budgeting. 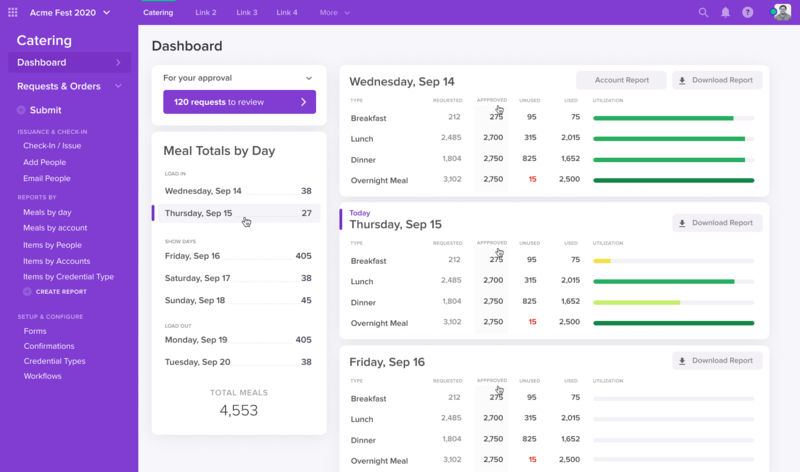 A simple way to quickly and accurately scan and check people in for each meal is critical step to staying within your budget. No need to print and cut meal tickets anymore. Simply integrate with your RFID provider and personnel can scan into your catering areas. Not using an RFID provider? Register barcoded credentials with the Lennd App to give personnel access to scan against their catering requests. 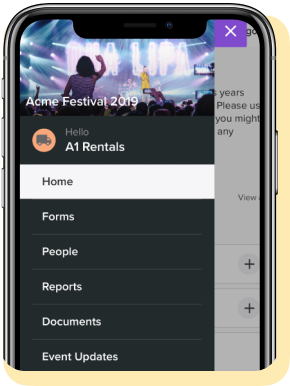 Set up a demo to learn how top event teams are using Applications with Lennd to improve their process.